When does 24 courses not necessarily mean 24 courses? 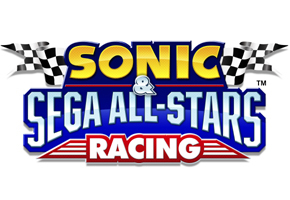 After speculation started to grow that the 24 announced courses in Sonic & Sega All-Stars Racing may be split among as little as twelve areas, Steve Lycett addressed that concern on Sonic Stadium’s message boards Friday. What you’ve got to remember guys, is that 24 race tracks is a mammoth undertaking. Look at it this way, in your typical racing game you generally define a single art style – or universe – and then base all your tracks on that same style. You’re a city based racer, or an open road racer, or a racetrack racer, you define your look and use it across everything. That’s not the case here. Not only are we basing the tracks on a variety of source games, we’ve also got to be true to those games. The more games we try and emulate, the harder this gets, both from defining stage styles, to building a track which fits in it, to actually physically building, texturing, testing and getting it approved. 24 tracks from 24 different games mean 24 times the work of concept, design, build and approval. Remember, we have to work with finite time and budget here! So it was never going to be 24 tracks all from different games (actually we started with 30, but that’s a different story!) – more 24 tracks, split across certain design motifs from a smaller number of games. Even then this is still difficult, we’ve still got to make 24 tracks that all play differently, all have unique features and short-cuts. Then we have to find some means of making sure they all fit that one magic art style so the whole thing hangs together. Also then take into account that those 24 tracks have to be made across 3 effective sets of polygon counts (we have a level set for 360/PS3/PC, then one for Wii, and one for DS). Really we’ve built 72 tracks on this game… that’s before the optimised versions for splitscreen too. So, the bottom line is that the truth lies somewhere in between. There won’t be 24 totally unique, different tracks, but it doesn’t appear as if Seaside Hill–or any other environment for that matter–will have 4 stages to call its own. Earlier, Lycett also clarified some news that 27, not 24 tracks will be present in ASR, and inferred that the 27 number comes from a combination of the 24 tracks and three arenas, presumably for multiplayer battle royales. Sonic Unleashed To Have Possible November Release?